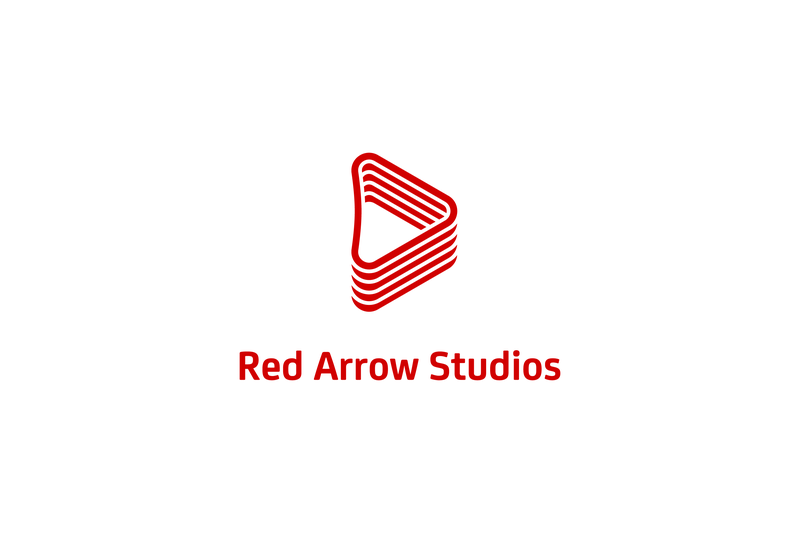 Red Arrow Studios is one of the world’s leading creators and distributors of entertainment content. It’s part of the European media group ProSiebenSat.1 Media SE and is comprised of more than 20 production companies in six countries, plus the global film and TV distributors Red Arrow Studios International and Gravitas Ventures. 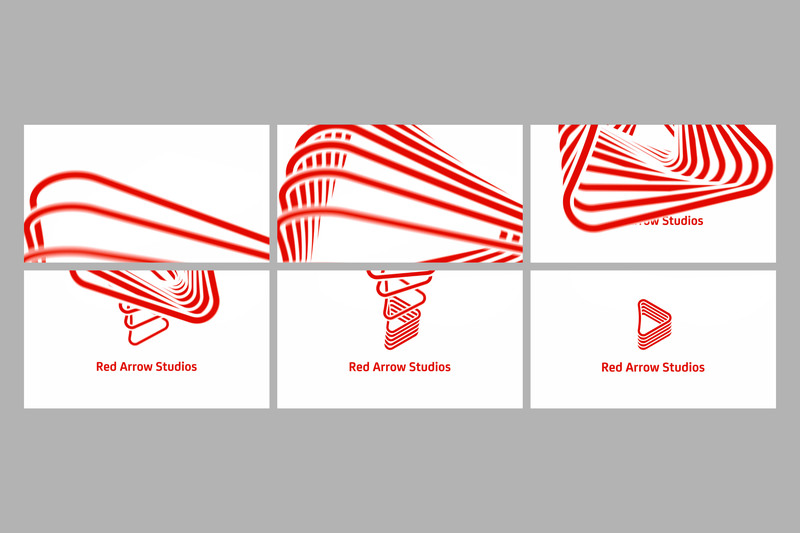 After adopting a new group setup and strategy, Red Arrow Studios needed a new identity that would better express its global scale, personality and ambitions. 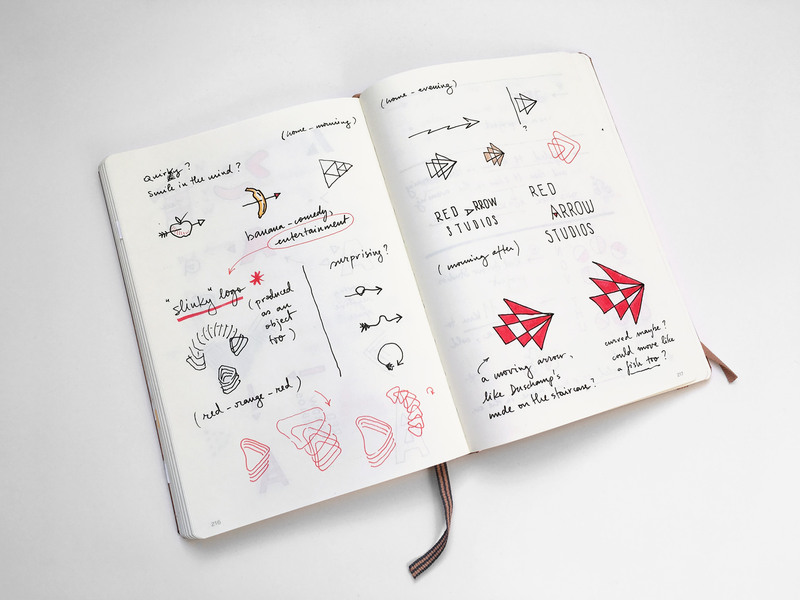 Rudd Studio was approached to solve the brief. 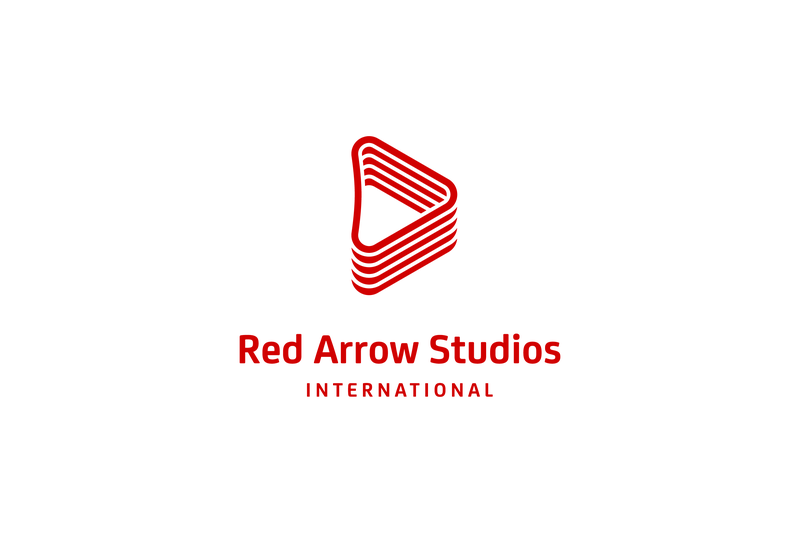 The challenge was to design an entertaining logo that could easily represent what Red Arrow Studios do, but one that could also work well at a corporate level, given the group’s size and structure. Matt Rudd and myself explored several directions, trying to find the right balance between corporate and entertaining. A slinky shaped like an arrow / play button seemed to be the right answer: playful, surprising when animated, but serious, confident when static. When moving, the logo can reveal, hide or transition between filmed content. 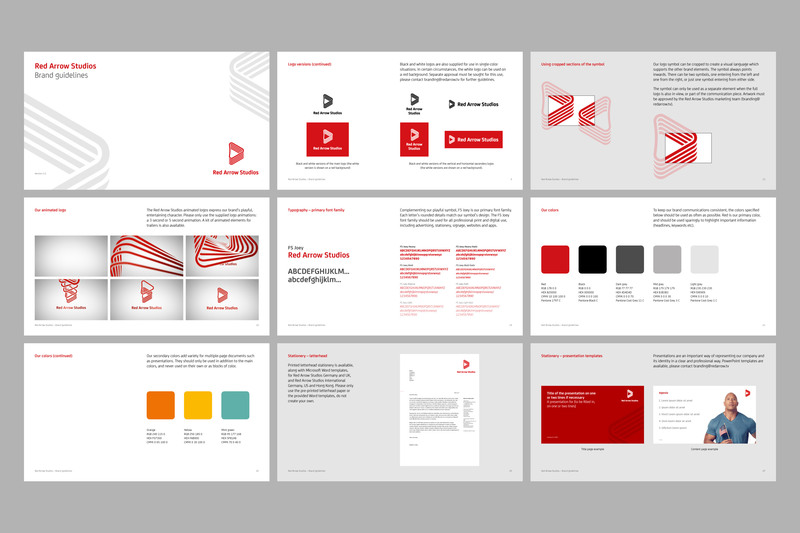 When static, the logo works well across stationery or slide presentations, used either on its own, or in several different cropped versions. You can see below one of the several ways in which the logo is animated. From the very beginning, the question was “what would make anyone, anywhere smile?”. Several concepts were fun, but didn’t work well as ‘corporate’ logos, while others worked as logos, but were less entertaining, or didn’t have much potential for animations. In the end, given its almost endless animation opportunities, and the fact that almost everyone has a nice memory about a slinky toy from their childhood, the slinky arrow concept was the winner. When the client sent us an excited email with a link to the Ace Ventura slinky scene, we knew we had done our job well. Project done together with Matt Rudd (Creative Director, Rudd Studio). Logo designed by Iancu Barbarasa. 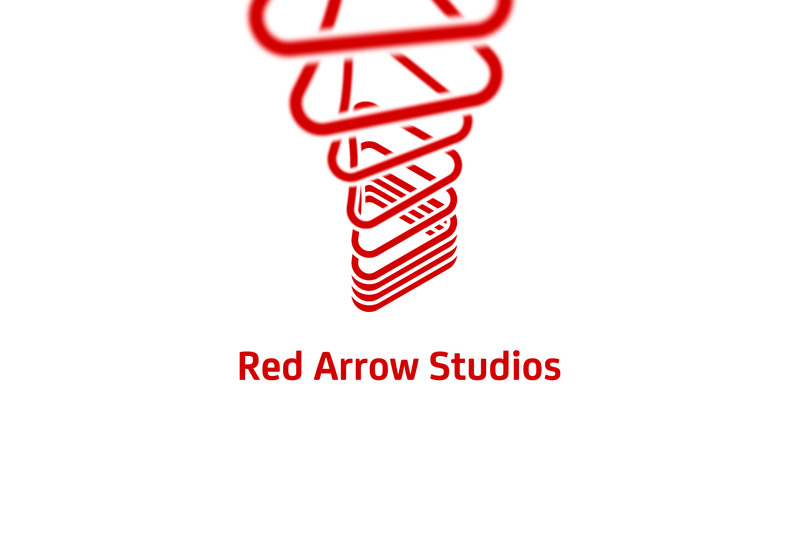 Red Arrow Studios website built by Steve Jones. Animation done by Oscar Gonzalez.